Emtalks: How To Get Beachy Holiday Hair And Give Away With Toni&Guy! 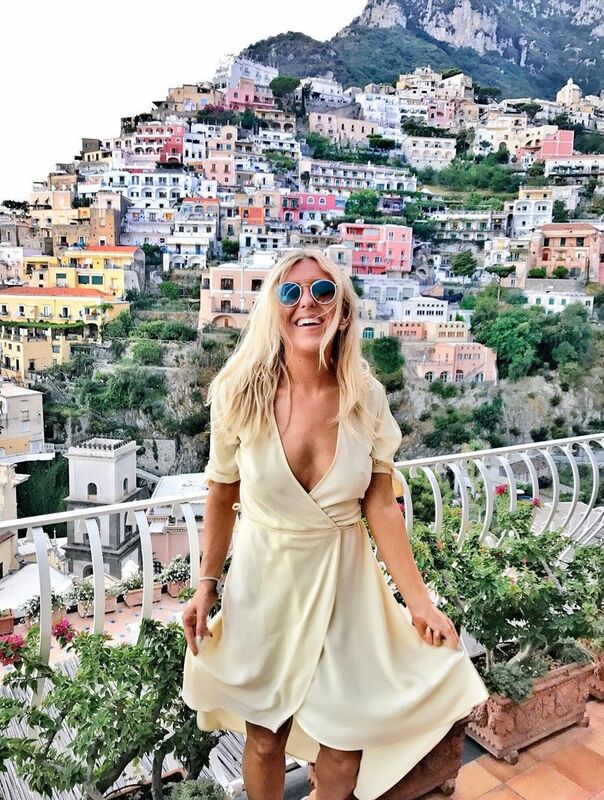 How To Get Beachy Holiday Hair And Give Away With Toni&Guy! Hello so today I have an exciting giveaway for you all, with 10 winners! Basically Toni&Guy have teamed up with Matthew Williamson to make some gorgeous wash bags and goodie bags and you could be in with the chance of winning one... woohoo! I don't usually use Toni & Guy products, in fact, I haven't used any Toni & Guy products for years so it was really nice to try something else. I've desperately been trying to grow my hair, I wrote about the products I've been using on my hair to make it grow so hopefully that shows you my normal hair care routine. I do have naturally beachy/wavy hair but it didn't stop me from wanting to give these products a try! Toni & Guy Conditioner For Normal Hair and Toni & Guy Shampoo For Normal Hair: As mentioned, I don't usually use things for 'normal hair' as my hair is dry, frizzy, damaged, coloured, broken - you name it. Or it was until I got it fixed recently (find out about that here) but I was really happy with how nice my hair turned out after using this shampoo and conditioner set, it's the cleanest my hair has ever felt and it kind of made my hair feel like it was back to it's natural state (eg, no product residue left in etc). This shampoo and conditioner gives you a nice base to style your hair with I'd say. Toni & Guy Leave In Conditioner: I'm glad that there's a leave in conditioner in the range, I tend to use ones which fix my damaged hair, this one is for frizz-management and dehydration which is good because my hair does tend to be quite dry and I like to put moisture back into it. Usually I do use really intense leave in conditioners or hair masks (see what I use here) but for a change this one was nice and left my hair feeling fresh and new. Also in my goodie bag:Toni & Guy Rough Texturiser, Dishevelled Matt Finish, Toni & Guy Sea Salt Texturising Spray, Toni & Guy Wave Memoriser, Wave Recall and Definition. Stand by for a review of these products once I get on holiday, lets see if it does memorise my waves and give me texture. As mentioned, my hair is naturally really wavy but hopefully these will enhance it a bit more.- Toni & Guy Radiating Tropical Elixir: This is really good to use on holiday because it's got UV filters in it, it's kind of like a sun-screen for your hair. I was told by my hair dresser always to protect my hair from the sunshine. - Tie your hair in two plaits and spritz on some Bumble & Bumble surf spray (my favourite), blast a hair dryer over the plaits for 10 seconds, take it out and I promise you'll be beach ready. - Sleep in plaits - simple, fool proof! Easy waves. - Blow dry your hair upside down - for vavavoom hair. - I like to sleep with my hair in a big, messy, tight bun, it means that when I wake up and take it out my hairs really wavy and curly, that works for me. You just need to use the rafflecopter below to enter. You've got 6 days from now. Good luck! Do you like the look of these products? 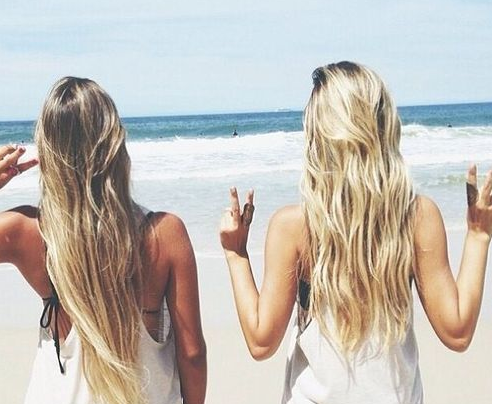 What are your tips to get beachy hair? I love Toni and Guy products! Such a nice goodie bag of products. Make sure your hair is a decent length. Mine is naturally beachy/wavy but I have a shorter bob at the moment and look like a mad woman if I go au naturel! I shall be growing it into a longer bob before my surfy/camping trip in September. Plaiting is always a good option as this is what my long haired daughters do. Have the winner's been contacted at all? Not sure if I'm entry #945 or not!